Healthy@Work. All of our associates share a fundamental set of principles and values which guide as we help our clients to achieve a higher state of wellness in the work place and at home. 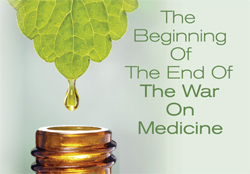 This article examines the past one hundred years of medical history to determine how natural medicine was replaced with allopathic medicine and how natural/functional medicine is making a very strong come back. This article looks at cancer in a unique way to determine why so many conventional treatments fail, and why so many cancer patients have a relapse months after treatment was completed. By looking at how the body works at the cellular level it is possible to determine why cancer can change its structure to make treatments ineffective and why stem cells are the main reason for the return of these cancers. 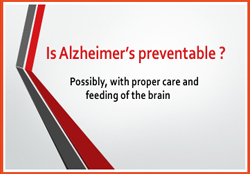 This article looks at the first successful reversal of Alzheimer’s using a natural protocol developed by Dr. Dale Bredesen from UCLA. In 90% of patients there was a significant improvement in cognitive skills, allowing patients to go back to work and improve the quality of their lives. 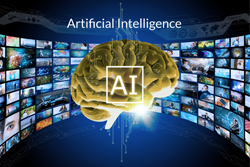 This report is based on the work of Dr. Joseph Pizzorno who took fifteen years to develop the first, and only, AI platform based on functional, or natural medicine. This platform has been tested by twelve employers, and over 20,000 employees, who were able to improve their health and save their employers 12 to 15% per year on the cost of healthcare. We believe that employees can only perform at their optimum level if they are as healthy as they can be and that employer's have an inherent responsibility to assist employees in the pursuit of wellness. Our mission is to provide employers and employees with the most advanced and effective health improvement programs possible in a way which optimizes health and financial benefits. To ensure the effective transfer of knowledge and skills necessary to sustain the wellness programs initiated and to ensure the organizations culture and systems are fully aligned in support of the wellness effort. 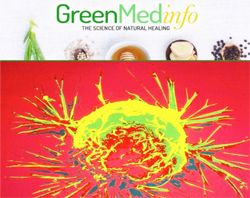 *All Information contained on this website is for informational purposes only and is not intended to replace the advice of your Medical Care Provider. Over 70% of all health care costs are avoidable. Is your company doing enough to educate your employees so they can keep health costs down? This little book saves employers a minimum of $3.00 for every $1.00 of cost through reduced absenteeism and reduced use of health services. How to quit smoking by becoming healthier first. This book has changed my life. I only wish I would have felt like this 10 years ago. Follow Dr. Bens' advice, quit red meat and sugars. You will feel the results in days. I feel a renewed energy level and drive. Thanks Dr. Bens.